Front row, from left: Rev. Dr. William Hubbard Knight, Angel Collie, Rev. Elder Rachelle Brown, Interim Moderator; Sarah-Jane Ramage, Vice-Chairperson; Rev. Dr. Stephanie Burns. The Governing Board has announced an open call for members of MCC to form a new commission to review the basis of assessments. The Governing Board is seeking to form a global commission including laity and clergy representing experiences of churches of all sizes. 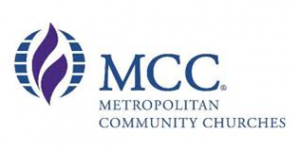 MCC has been primarily funded through contributions from churches, and the system by which this occurs has not been altered since its inception. 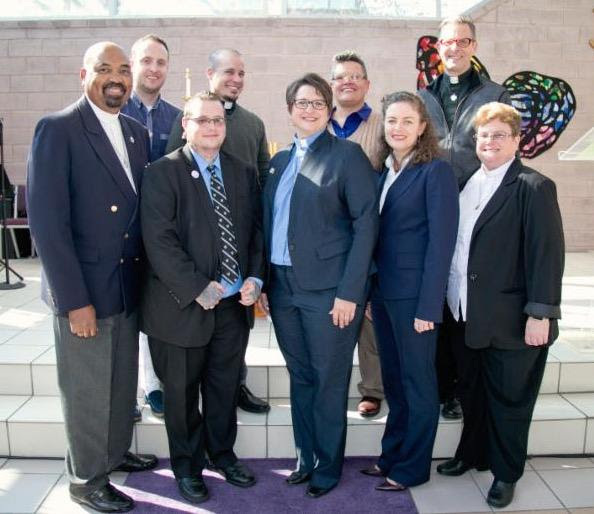 In 2014, the Governing Board undertook a review of other denominations for both funding options and support offered by those denominations to their churches, ministries, and clergy. The review of alternative methods for funding demonstrated that the models either support very different operating structures, offering little or no support to churches, clergy or new ministries, or rely heavily on historical legacies. The review also revealed that converting MCC to such models while maintaining our current, or a similar, operating structure would not be possible in the short to medium term. The current assessment system is complex for churches to comply with and costly for the denomination to administer. Since 2008, the number of churches that have been unable to maintain its operations and meet its obligations under the assessment system in full has significantly increased. The proposal was therefore made to General Conference 2016 to convene a commission to review the basis of assessments and structure of operations for the denomination with a view to create a simpler and more sustainable base from which to grow into the next decade. For operating efficiency and effectiveness, we propose that the Commission shall consist of eight members. All applicants must be members of MCC, whether a member of MCC directly, an MCC church, or an authorised emerging ministry. Be familiar with the financial concepts associated with the current assessments system. Able to participate in virtual meetings conducted in English. The capacity for virtual meetings include Internet access for web-based meetings (i.e. Skype), and telephone conference calls. Attend at least two meetings a month between February and October 2017. We acknowledge that conducting the meetings in English limits participation from non-English speakers and therefore will ensure that all surveys, enquiries and reports will be carried out in multiple languages to obtain a global perspective for the Commission. Description of church background, with particular reference to church size and leadership or administrative responsibilities. Inclusion is an MCC Core Value. The Governing Board is hopeful that the members of the Assessments Review Commission will reflect much of the diversity of MCC. To the extent you are willing, please state whether you are lay or clergy as well as your racial/ethnic group, gender identity, sexual orientation, and whether you access services or assistance due to your vision, hearing, mobility or other access factor. This information will not be used to evaluate your application. The Commission will evaluate the current assessment system and submit to the Governing Board a report with recommendations and rationale. What should the assessment rate structure be? The Commission will present the findings to MCC leadership and General Conference and in conjunction with the Governing Board will prepare recommendations for implementation process/timing of any changes to the assessments system. The report of the Commission is due to the Governing Board by 31 October 2017. What will the Governing Board do with the report? The Governing Board will review the report and recommendations and consider implementation and actions to follow (i.e. bylaw changes, motions for consideration by General Conference). Any motions regarding the assessments system will be presented to General Conference in late 2017 for implementation in 2018. Please send application materials to [email protected] by 31 January 2017. The Commission is expected to be announced by 28 February 2017, after the Governing Board has reviewed the applications.